As part of HYY Group we at UniCafe value responsibility as one of our core values. In practice this manifests itself in everyday actions and the choices that show in operations, feel in services, and taste on the plate. Our owner, the Student Union of the University of Helsinki wishes to set an example of business that is conducted in a responsible manner, both socially, culturally and environmentally – without compromising quality and profitability. We at UniCafe extend responsibility to each business function. Responsibility is part of service chain and customer experience from the website all the way to the lunch plate. How does responsibility manifest itself in our everyday life? Read more below. Customer satisfaction is the foundation of UniCafe business. We have an active dialogue with our customers and regularly follow their satisfaction level related to our services. In 2013 we introduced the QR code based Taputa application, enabling customers to give feedback via their smartphones. This makes giving feedback easier and in turn boosts the follow up and utilization of feedback as part of our development. Our website serves customers in three languages: Finnish, Swedish and English. 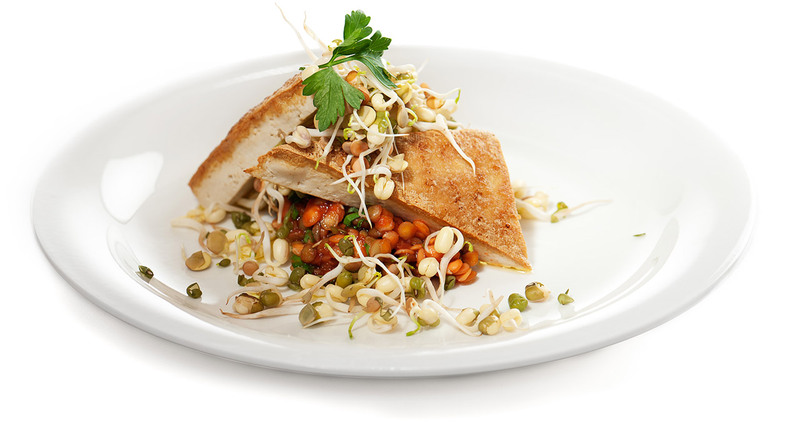 The website contains lunch menus with ingredients, energy contents and special diets. The contact information and facts about handicapped accessibility can be found above the lunch menus. Taputa link to give feedback can also be found through each individual restaurant. The website is responsive, enabling any monitor size and any type of device, making surfing the contents as user-friendly as possible. • We offer our customers high-quality food, produced and prepared from safe and responsible ingredients. • In foodstuff sourcing we aim for Finnish origin, as we wish to support domestic work and the preservation of jobs – corresponding with the traceability of the products and transparency of production. To ensure wide enough selection of products we also purchase products from other countries, mainly in Europe. • We do not serve endangered and overfished species of fish. In practice this means for instance preferring certified fish products anf finnish fish, and not serving any species mentioned in WWF red list in our restaurants. • Environmental aspects are always part of our sourcing criteria. • As evidence of commitment to environmental work, UniCafe was granted the environmental certificate ISO 14001 in September 2012. • Environmental agent is present in each of our restaurants – this is a staff member who pays extra attention to the environmental aspects of the workplace. • In March 2014 we introduced climate as a criteria for choosing lunch meal. UniCafe took part in Project Climate Lunch by Agrifood Research Finland (MTT). We served Climate Lunch and Better Climate Lunch menus that were results of the project. After the initial theme week the Climate Lunch meals remained as permanent part of HYY Ravintolat menus. • In 2013 we joined ”Steps to Organic” program. 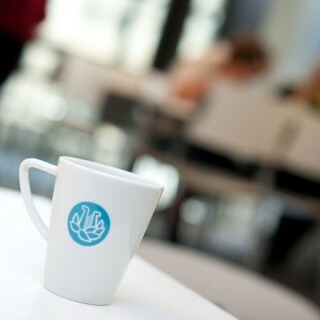 All 26 UniCafe student restaurants placed in step 4, as the only restaurant chain in Finland. • We have served Fair Trade products since 1999, the year Fair Trade entered Finland. Today we serve Fair Trade alternatives in various product categories from tea and coffee to juices, chocolate and bananas. • An open and encouraging leadership culture is a key value when building a healthy work community. • Possibility to develop is part of well-being – UniCafe offers various career paths, we support education of employees, and encourage personal development. • Multicultural and equal work community supports the well-being of each member as well as success in the workplace regardless of age, gender, sexual orientation or cultular background. • Comprehensive occupational health services have been praised by the UniCafe personnel. Recreational, sports and cultural activities organized by HYY Group’s ”Henksu”, also contribute to the well-being of employees. HYY Group values steer our operations – long-term commitment, responsibility and dynamic operations. The basic function of UniCafe, conducting restaurant services that support the well-being of students and other customers, is in itself an aspiration to generate good to society. We believe that when services are carried out with responsibility and proficiency, the everyday lives of our customers become healthier, smoother and better tasting. Read more about values on the HYY Group website. HYY Ravintolat has been granted ISO 14001 environmental certificate along with ISO 9001:2008 quality-management system certificates. At HYY Group we follow the execution of responsibility through various indicators and through outside audits. We are partnered for instance with WWF Green Office, UN Global Compact and Bureau Veritas. The responsibility actions of HYY Group are reported in the group’s annual report and on the website. Responsibility is also about being actively involved. Finnish Hospitality Association (MaRa) is a national trade and labour market association in the hospitality industry in Finland. MaRa works to enhance the operating environment for Finnish enterprises in the hospitality sector, and to influence in creating the attraction and appreciation of the field. We are committed to follow and promote the ten principles of UN Global compact in relation to corporate responsibility. These include the areas of human rights, labour, the environment and anti-corruption. The annual reporting of our responsibility actions can be found at the HYY Group website. Finnish Business & Society (FIBS) is the leading corporate responsibility network in Finland. By taking part in FIBS we utilize information on the trends, best practices and tools of corporate responsibility. We are active in learning and creating new approaches in corporate responsibility. HYY Ravintolat has been active in Zero Injuries Forum since 2007, as the first ever company in the restaurant business. The Forum is created by Finnish Institute of Occupational Health. All work related accidents and near-miss situations are reviewed with the employees, followed by agreeing on changes in operations. This supports the business risk assessment and helps us in preventing accidents in the future. We have been granted the WWF Green Office environmental management system since 2006. Effective recycling, improving energy efficiency, environmentally friendly office supplies and policies, compensation of electricity consumption and flight emissions are some of our pragmatic actions. The quality and environmental policies of HYY Ravintolat Oy follow the Finnish legislation along with regulations set by authorities and best practices. In business we carry out the company’s mission and honour the company values: long-term commitment, responsibility and dynamic operations. o HYY Ravintolat Oy’s business strategy. In HYY ownership strategy the Student Union wishes to set an example of conducting business in socially, culturally and environmentally responsible manner – without compromising quality and profitability. HYY Group executes e.g. environmental responsibility based on the goals of ownership strategy. HYY Ravintolat Oy follows ISO 9001 cerfitication standard, part of ISO 14001 environmental certification. The quality and environmental management system helps us in developing operations in order to respond to the demands of customers. All concrete quality and environmental goals have been set in our scorecards, following various time spans. We are committed to follow the development of these goals and strive to constant improvement in our operations. We adhere to environmental legislation, as well as regulations set by authorities and best practices. We are committed to observe the environmental programme of HYY Group, including WWF Green Office, UN Global Compact and code of ethics. In the enviromental programme we consider the expenses caused by environmental point of view when setting business goals. We prevent the dangerous and burdensome impact for the environment and health, and require the service providers and suppliers we use are also committed to the environmental principles and goals we set. Environmental approach is part of the sourcing criteria of the company. The environmental aspect and its development are watched by various stakeholders, including following HYY Group’s reporting on responsibility in annual reports and HYY Group website. Each restaurant and supporting services have a so called environmental agent whose task it is to revise the environmental aspects of HYY Ravintolat based on set goals and supporting the manager. Each employee is expected to contribute to the fulfillment of environmental goals and is required to adhere to the operational policies and to give feedback on errors and deviations in order to rectify them. We work in a responsible manner and openly explain our operations. We respond to the goals of the owners. We create a supporting and inspiring work environment for the employees and the representatives of owners. We value the personnel and enable their development and education to become the best possible professionals in the field. The execution and feasibility of quality and environmental policies are regularly followed in the reviews of the Executive team, and adjusted if needed. The Executive team has updated the Quality and environmental policy on September 19, 2014.